Thirty years ago the Nintendo Entertainment System landed on American shores, and ever since that moment, Americans have been trying to beat Super Mario Bros. faster than the last person. 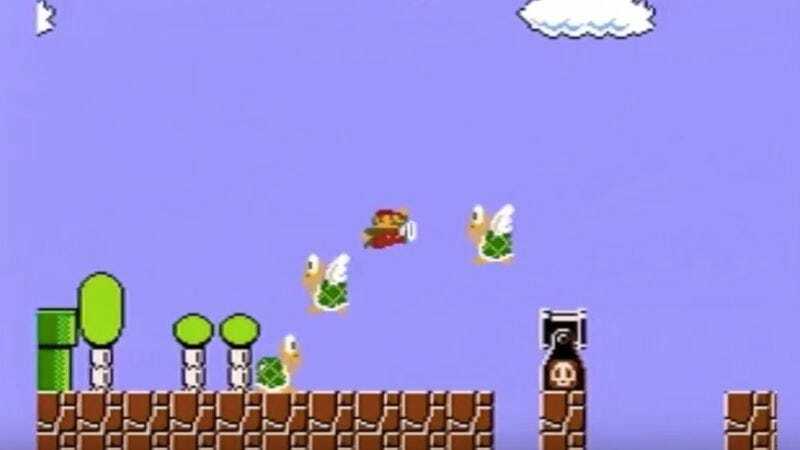 Earlier this week, a Virginia gamer who goes by the name of Darbian broke that record, finishing the game with a time of 4:57.627—66 milliseconds faster than the last record holder. Unlike most video game speedrunners, who run old games on new machines using emulator software, Darbian actually fired up an old NES, presumably blew in the cartridge, and played this game as it would have been played in the ’80s. When you watch the video, you can’t help but notice how perfectly timed every jump and run is. As impressive as this is, Darbian isn’t satisfied. In a Reddit post, he detailed a number of ways he thinks he can improve his time, like not going 21 extra frames (0.35 seconds) too far in level 4-2 and making a smoother exit out of the speedrun’s water level.